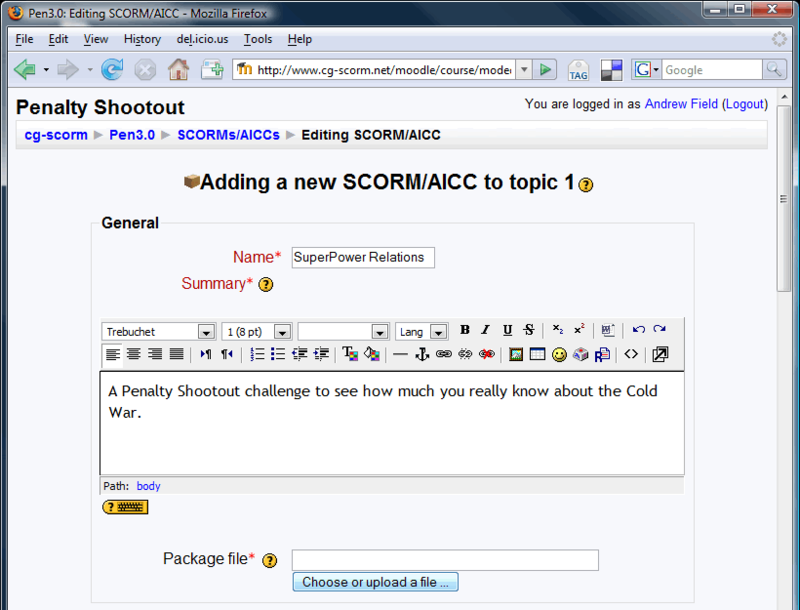 This page has been setup to provide practical guidance and support to help you make the most of the new SCORM features. SCORM appears tricky and complex, but with our program you can generate SCORM-compliant content rapidly and easily. This is a deliberately step-by-step guide. If you know what you are doing, skip to step 15 and check the settings. 1. 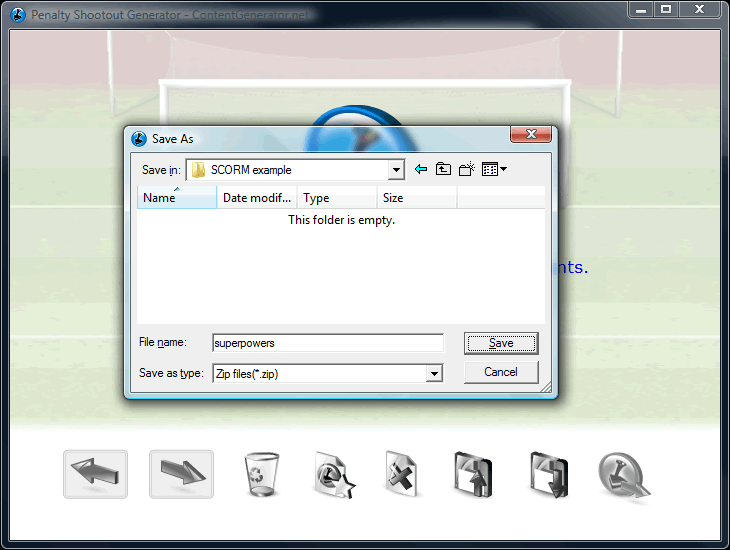 In the SCORM settings (here shown in the Penalty Shootout generator) make sure SCORM is enabled. 2. 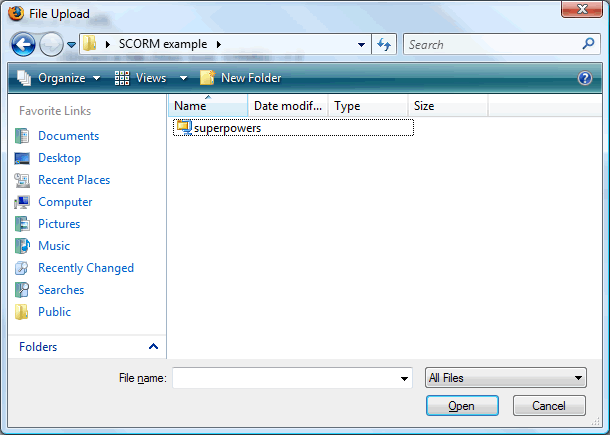 Save your SCORM .zip file elect a location that you can find easily. Click 'Save'. 3. If you see this page then hurrah - your SCORM-enabled activity has been successfully generated. 4. 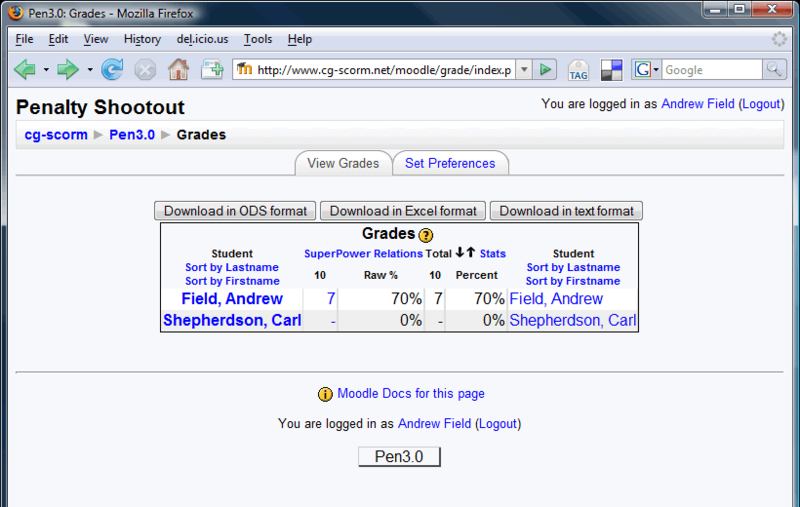 Log into Moodle. 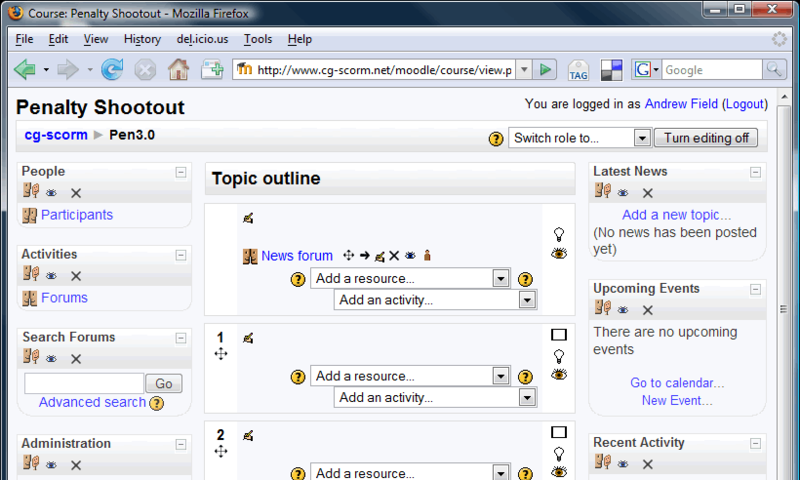 You need to be a 'course creator' within Moodle i.e. you need to be able to add resources. Click 'Turn editing on'. 5. Once you click turn editing on you get all the great additional options - don't be scared though - just keep following the guidance! 6. Find where you want to add the activity. 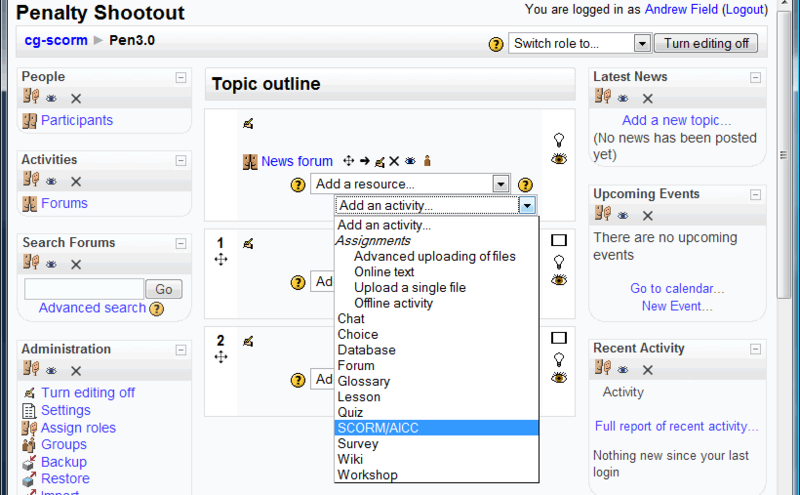 Just select the 'Add an activity' drop down box and then select 'SCORM / AICC'. 7. 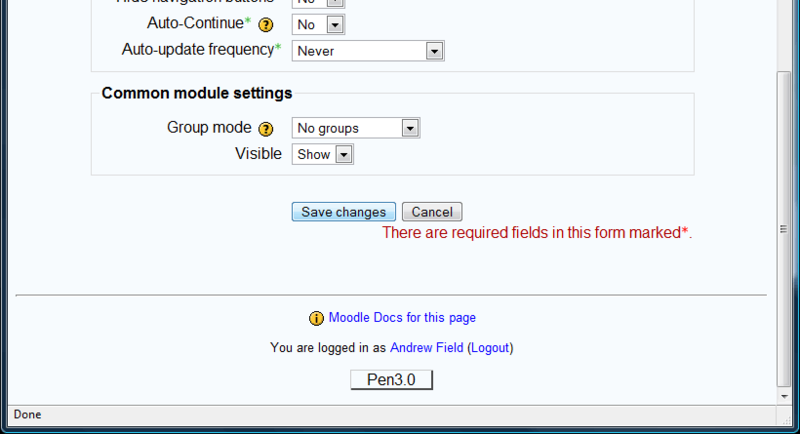 Just as with other parts of Moodle, you then have to fill in some details. These intially appear complex, but really aren't. Add your description of your activity. 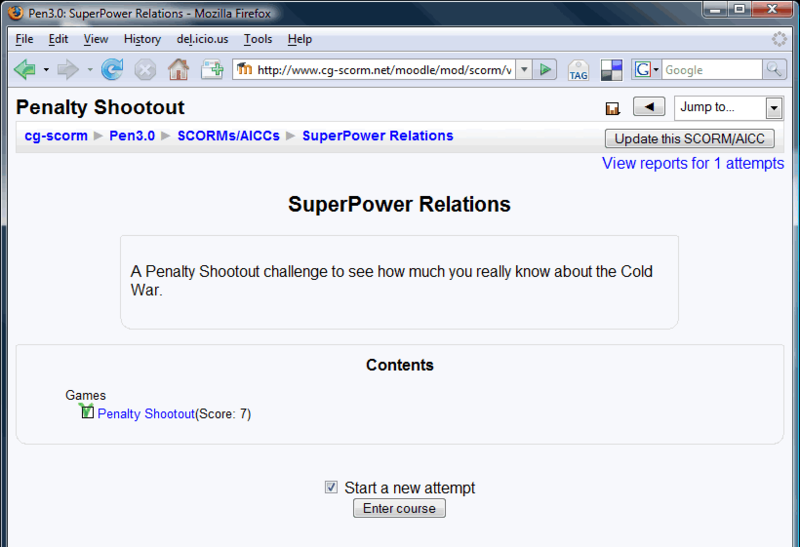 Here I am describing the SuperPower Relations game that I'm planning to upload. 8. Once you've added the description, click on 'Choose or upload a file' and the box below should appear. 9. 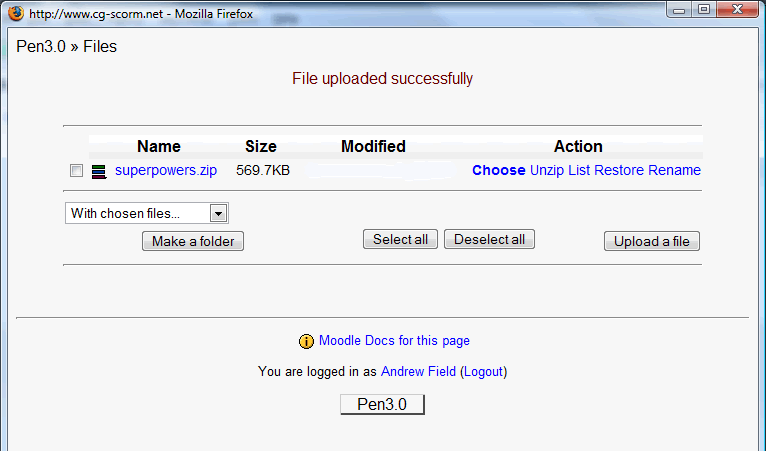 Select 'Upload a file' and then, unsurprisingly, you'll be able to upload a file. 11. ... and we're now ready to upload. Click on 'Upload this file'. 12. 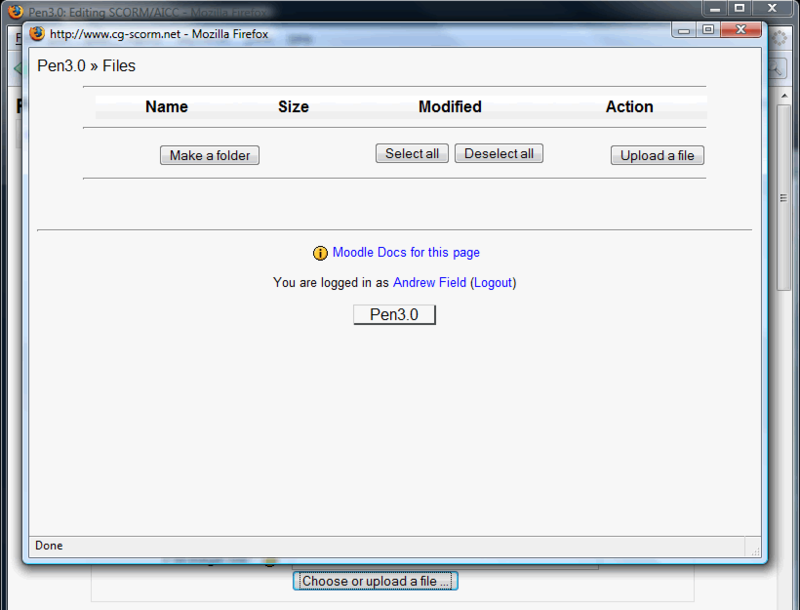 This is what you'll hopefully see - a message telling you that the file uploaded successfully. Select 'Choose' to choose that file. 13. Your SCORM-.zip file should be listed in the 'Package file' option. 14. Nearly at the most complex part - it is been easy so far! Scroll down a little - if you see a button 'Show Advanced' click it - if you don't see the button, you're probably on the advanced view already. 15. This is the most complex part - but it is still straightforward. 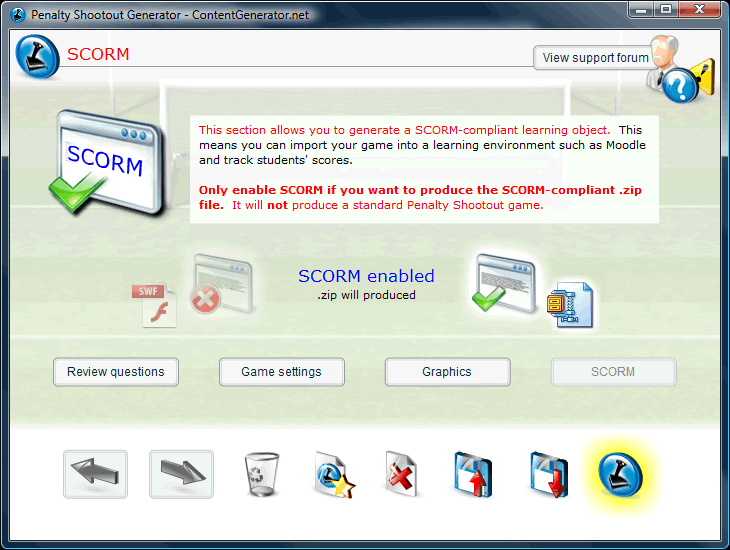 These are the current recommended settings for ContentGenerator.net SCORM-enabled activities. Look carefully at each option and try to select the same options yourself. These options have been suggested because they allow you to track the scores in the easiest possible way. 16. Phew - all done. Just go back and check the settings one more time. Done? Then select 'Save changes' at the bottom. 17. 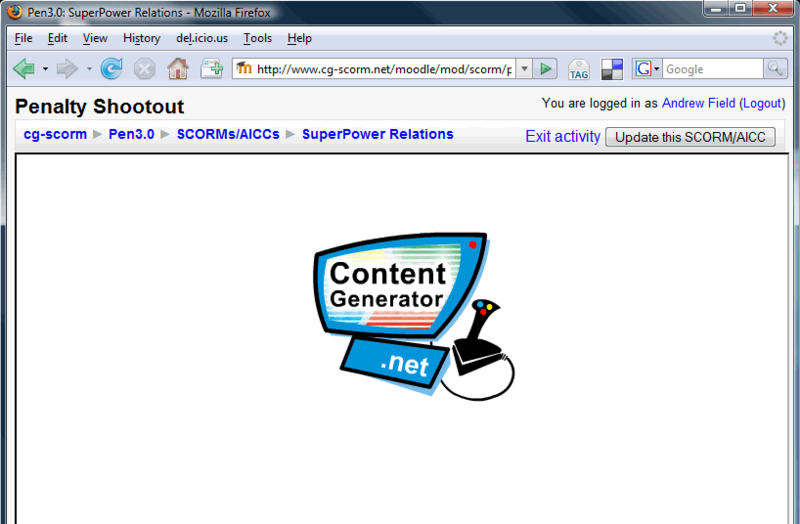 If the settings have worked, you should then see your ContentGenerator.net activity appear on screen - with its SCORM features. 18. A couple of points to note. The Moodle gradebook should pickup your activities without any further input from you, but if you do encounter difficulties get in touch with us on the Forum. The most common issue with SCORM in Moodle is that students don't complete the activity or just close the browser in a huff. This means the gradebook records students' scores in a strange way - it says that they have been 'excluded'. This is actually entirely correct - they didn't complete the activity correctly, so they've excluded themselves from getting a score. If students are listed as 'Excluded' in the gradebook, get them to have another go on the activity. When students do try to have another go, make sure they are directed to tick the 'Start a new attempt' option. This has to be ticked to make sure their score is tracked and they even get access to the exercise. That's all for now - this page is going to be updated as more people express an interest and need to find out further details.